With an emphasis on pregnancy and pediatrics, we can make sure all of your loved ones experience the benefits of chiropractic. At Flatirons Family Chiropractic, we love to see families getting healthier together. With an emphasis on pregnancy and pediatrics, we can make sure all of your loved ones experience the benefits of chiropractic. We welcome the opportunity to be your choice for natural health care! You and your family deserve to live up to your full potential to express health and life. That’s what Broomfield Chiropractor Dr. Jacobe Holman, or Dr. Jake, seeks to do for the people in our community. Chiropractic is about so much more than simple back or neck pain. Though many people may find relief, our focus is on connecting the brain and body so that your innate healing abilities are working at their fullest capacity. At Flatirons Family Chiropractic, we’ve witnessed the incredible benefits of using chiropractic as part of a wellness-based lifestyle. You can experience your best function and live an abundant life with our natural form of health care. Dr. Jake welcomes all ages with a focus on family care, pregnancy and pediatrics. We know that the key to changing the health of our entire community lies in influencing children from the youngest possible age. It’s exciting to think about making a positive impact on the future of each family we see, and it keeps us passionate about what we do. 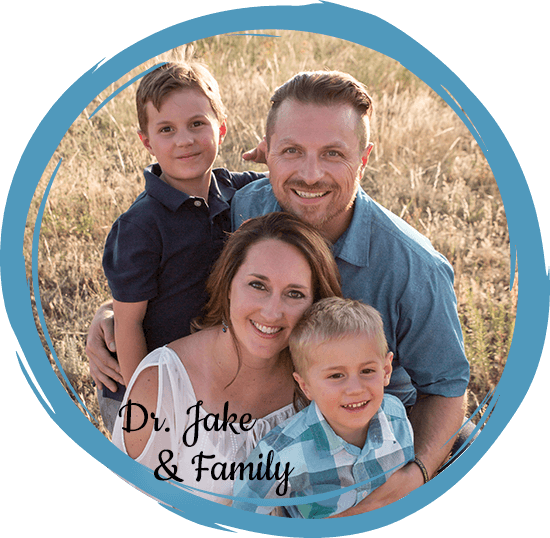 Dr. Jake and his wife Laura, our office manager, keep a friendly, inviting atmosphere that is a fun place for kids and adults alike. You'll even see their two sons running around on occasion. We're truly a family chiropractic office and love getting to know our practice members and forming a connection with them. If you've been looking for a Chiropractor in Broomfield, you've found someone who will attend to your needs and serve you with high-quality care. Contact us today to schedule your first appointment! Same-day visits and late opening hours are available. I am so blessed to have Dr. Jacobe and all of his expertise in healing my body. Couldn’t be happier. Jake is an absolute life-saver! I’ve realized the importance that his adjustments have had on my health, I haven’t had to go to a doctor in over 6 months, which is rare for me. It has shown me that I shouldn’t just go when I’m experiencing pain since adjustments are a part of life and your overall health. I’m so grateful to have him to turn to, I recommend him to everyone! Always feel so good after an adjustment! Easy group of people to work with and get questions answered! I’m really enjoying my treatment at Flatirons Family Chiropractic with Dr. Holman. He’s so attentive and is willing to take time to help me better understand the physiology behind what’s going on in my body. I’m 7 months pregnant and feel great each time I leave his office. HIGHLY recommend him to anyone who is pregnant! I chose to bring my five-year-old daughter in to see Dr. Jake due to heightened sensitivity with clothing. I had read an article several months back about the potential for chiropractic care to help. After my daughter’s first visit with Dr. Jake she has been asking to go see him again. My daughter was very comfortable with Dr. Jake and after leaving said everything that he did made her feel good. I am anxious to see where Dr Jakes care may lead with my daughter. We are both very happy so far! Very fortunate to have found Dr. Holman. Have been to numerous chiropractors in the past and he is the best. Helped me with my SI joint, lower back and neck problems. He also prescribes exercises to strengthen the muscles that also help with these problems. I could never see myself trusting a chiropractor. (No offense) i scheduled an appointment after a few friends highly recommended Dr Holman and I’m so relieved that I walked away from my fears and trusted him. He was professional, knowledgeable and gentle. He put me at ease and that’s not easy for me. The entire experience was wonderful. Loved the office and the staff and I will become a regular. My experience for the first time going to a chiropractor has been amazing. I feel important and that I am getting the best care for my situation. Dr. Jake has made every effort to make me and my family comfortable and he is always looking out for our health. Dr. Holman always knows just what to adjust to get me back in working order, or to keep things in great shape. I appreciate that he knows just which areas to treat and doesn’t spend time on other area if not needed. I always walk out of the office feeling better and standing taller.